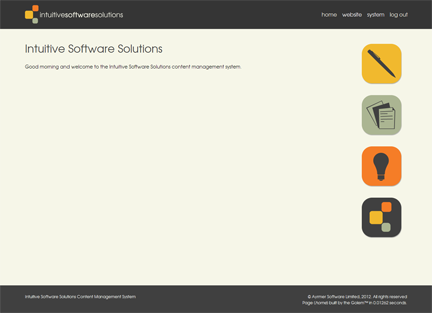 Ayrmer Software's primary website is hosted at ayrmer.co.uk, but we have always had a secondary brand hosted on intuitive-software-solutions.co.uk. 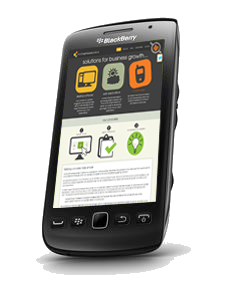 This enables us to show case our capabilities in a slightly different way to the main company website. During 2011 we decided to revisit the intuitive-software-solutions.co.uk website design and look at rewriting the copy, focusing on the solutions provided as it was felt this would enable us to present a different take on what can appear fairly abstract to potential clients. We decided the design of the site should be clean and fresh, accessible to a wide variety of devices - including mobile phones and tablets - and use the latest technologies available (HTML5/CSS3) to showcase our skills. The solution is a result of real team work between the entire staff; Alex, our designer came up with the look and feel, Grant developed the functionality and turned Alex's ideas into reality and Charlie created the copy. The real magic happens behind the screens as the entire site is content managed and allows us to link related pages, news and case studies to each page, ensuring supporting information is always one click away.